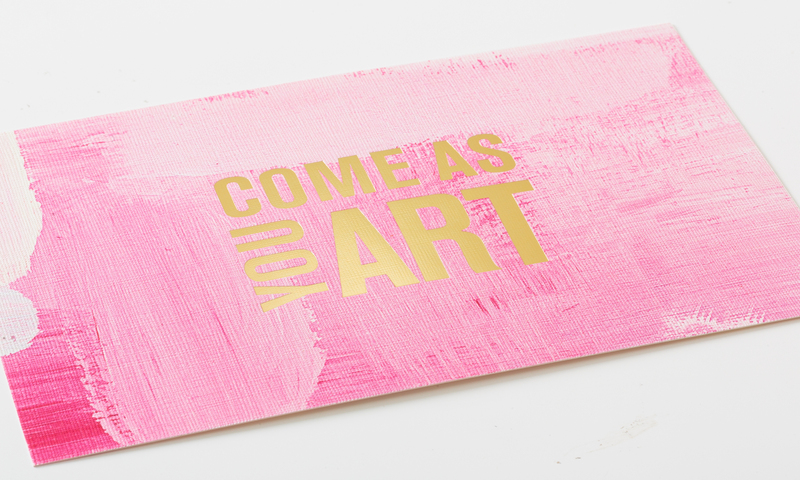 This invitation for the 2015 Beaux Arts Ball was a perfect combination of fine arts with the crispness of foil printing. 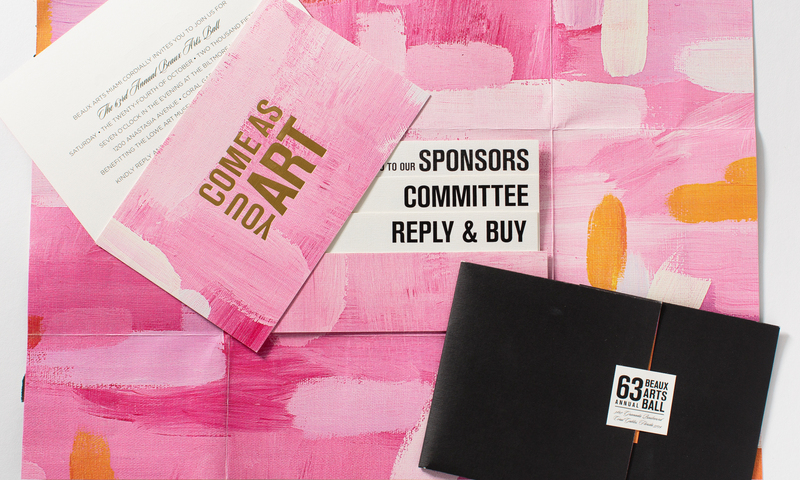 The invitation lay inside a custom painted folio. Modern and clean typography contrasted with the lose and artful texture of the folio. The set is complete with an RSVP set and inserts printed on canvas textured paper.